Swim Lessons will begin in June. All lessons are held at Clarke Creek Pool. Please read class descriptions prior to signing your child up for lessons. Jellyfish – Students will learn the basics from blowing bubbles, submerging face, floating on front/back with support, proper kicking technique and jumping in from the side of the pool. Seal – Students will start to develop confidence by floating on front and back alone. Students will start treading water in shallow water. They will also start to develop stroke work on front and back. Students should be able to blow blubbles and submerge face and able to float on front/back with assistance. Swordfish – Students will learn rotary breathing, stroke work, and technique for backstroke/breaststroke. Students that enter this level should be able to tread water, swim 15 yards of freestyle and be familiar with backstroke and breaststroke. 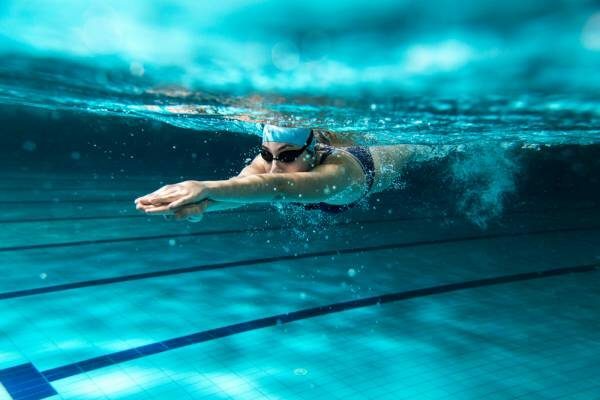 Whale – Students will be introduced to all four competitive strokes as well as sidestroke and elementary back stroke. They will also be introduced to diving.